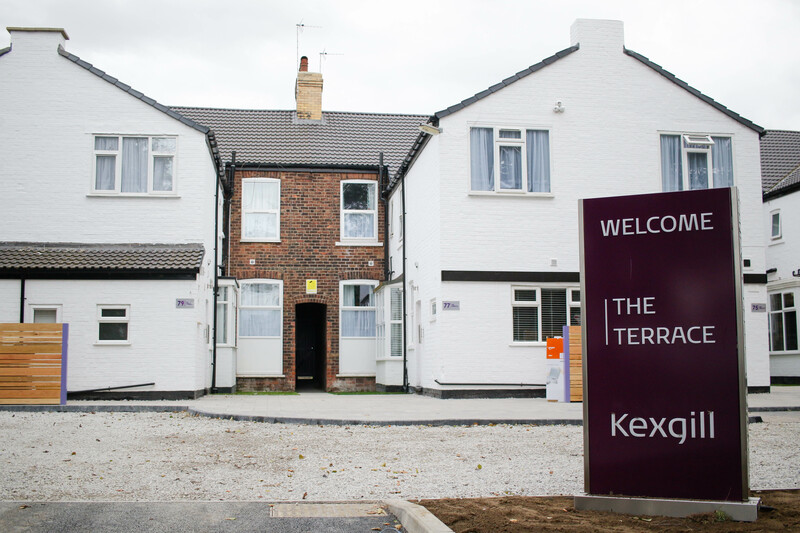 ACA Unveils New Student Accommodation near Hull University for Kexgill. • Shared spaces in external areas to encourage outdoor use and a community spirit. • Increased use of planting, natural materials, and sophisticated lighting as a subtle way to improve comfort and safety. • Additional off-road parking spaces in relation to each house, through reflection of the overcrowded street parking. • A purple colour scheme to preserve the visual identity of Kexgill, aiding the visual identity of community.